Dental crowns are one of the most commonly used restorations to treat decayed, fractured, and weak teeth. In cases when a tooth has sustained heavy damage, a bonded filling may be insufficient to effectively repair it. As a result, a dental crown, or cap, may be needed to repair the tooth to complete health. A crown “caps” the entire upper surface of the tooth above the gum line. Once attached, a crown fortified the tooth’s structure and protects it from getting damaged further. As a result, crowns are a great option when there is extensive decay or damage. For these reasons, a dental crown can be used to restore teeth while also improving your smile’s appearance. There are a number of different types of dental crowns which include gold alloy, metal-porcelain, and porcelain/ceramic. Although gold alloy and metal-porcelain crowns provide more strength and durability, porcelain/ceramic crowns are more natural looking. Your dentist will help you to choose the best type of crown for your smile. 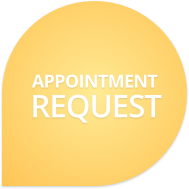 A crown can be placed in two appointments. Your dentist will remove the decayed section from the tooth and clean it. An impression is made of the tooth which is used to make your custom-made crown. A temporary crown may be placed over the exposed tooth while you are waiting for the permanent crown. When the permanent crown is ready for placement, the temporary crown is taken off and the permanent once is attached to the tooth. Any adjustments are made during this time to ensure an optimal fit. Contact Dr. Hanapole and Dr. Sniscak, dentists in Neptune City, to learn more about dental crowns. Our practice proudly serves the communities of Belmar, Spring Lake, Spring Lake Heights, Shark River Hills, Neptune City, Avon-By-The-Sea, Bradley Beach, Ocean Grove, and Asbury Park.